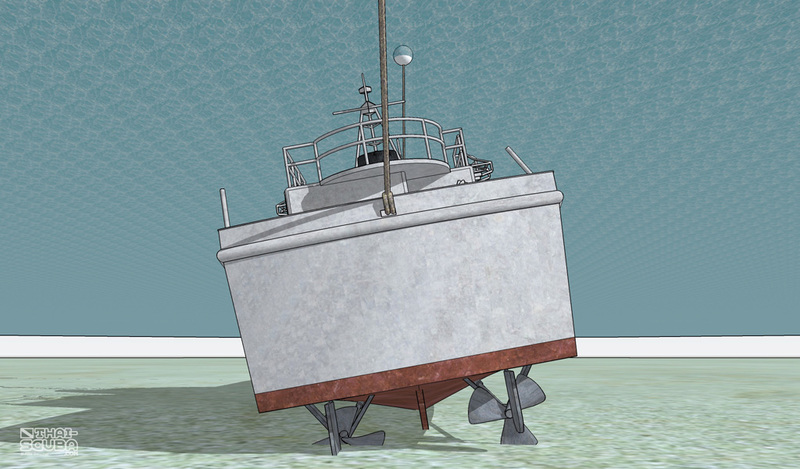 The wreck is marked with two mooring buoys (one at the bow and one at the center of the stern) that serve as easy descent and ascent points. 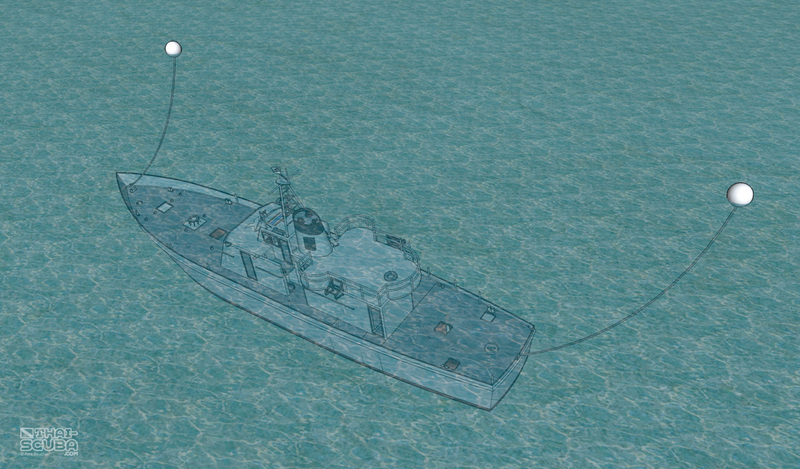 The overall length of the wreck is at 30 meters. 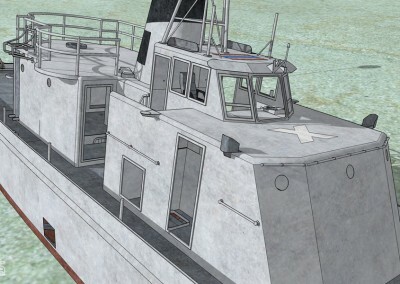 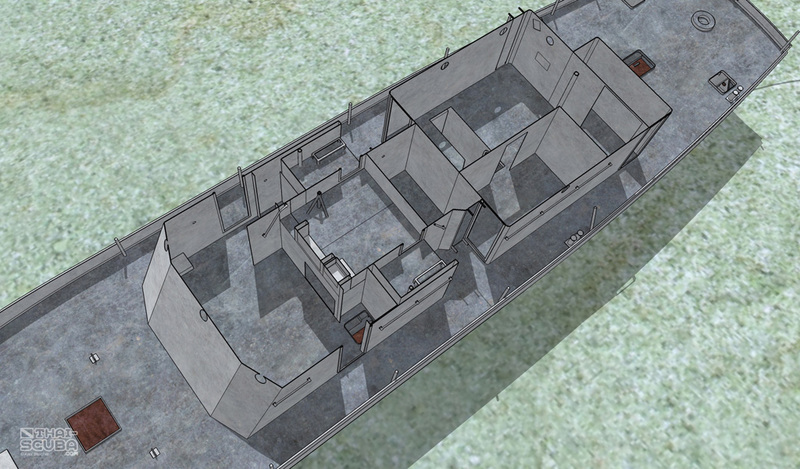 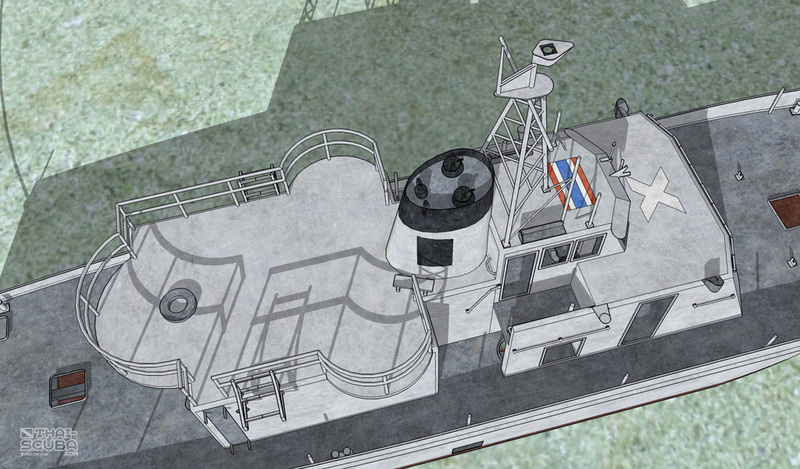 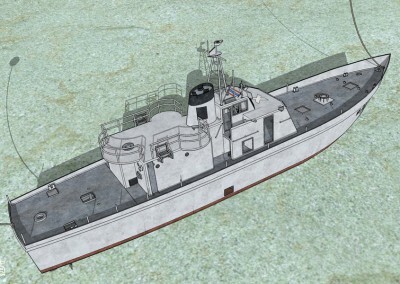 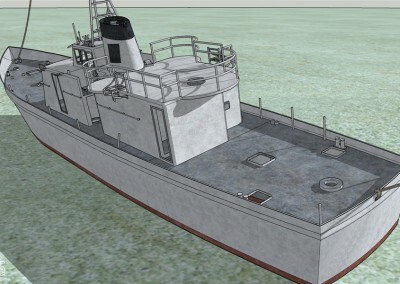 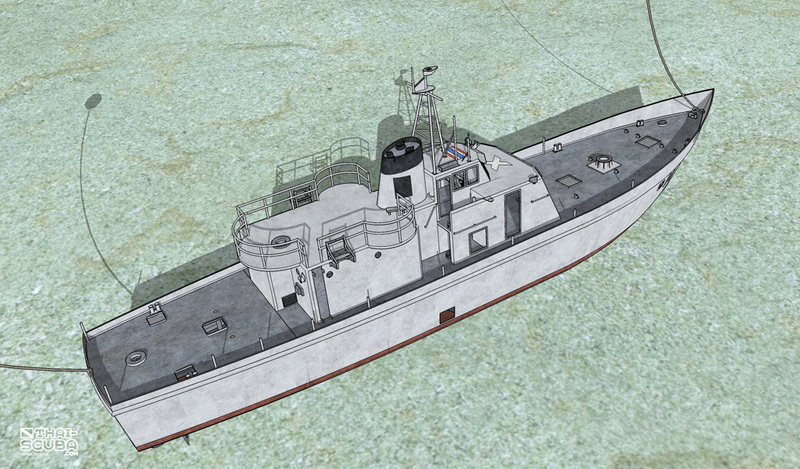 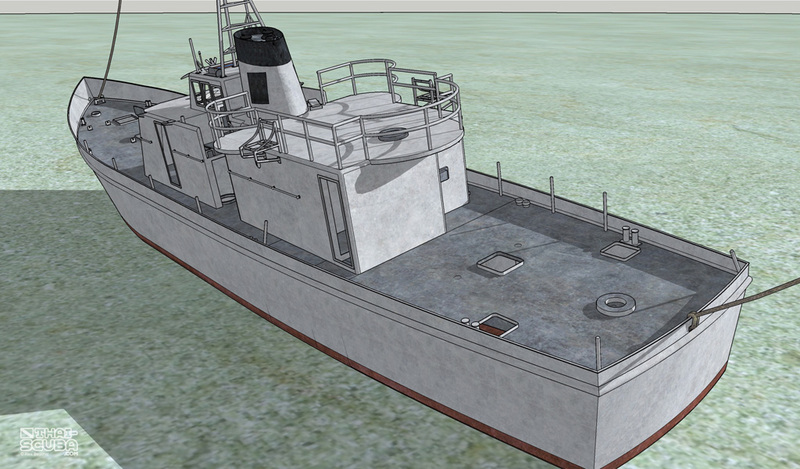 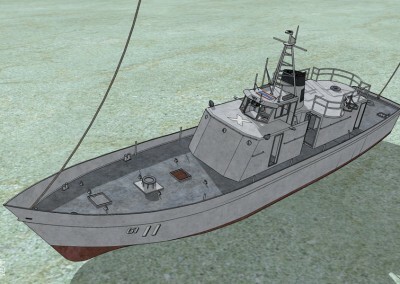 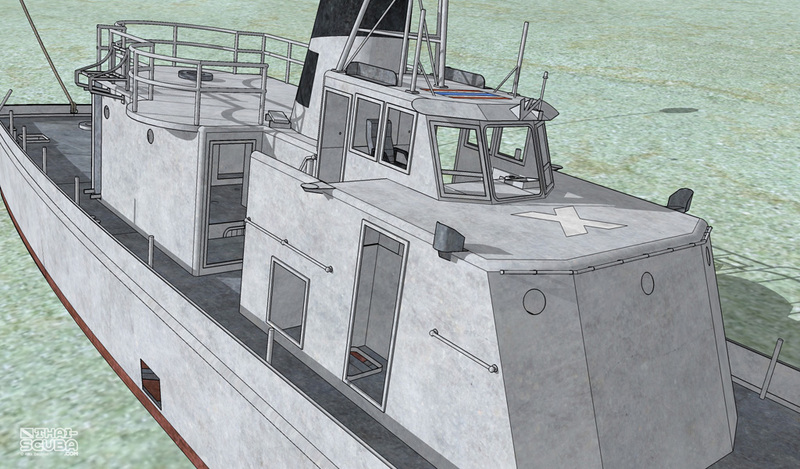 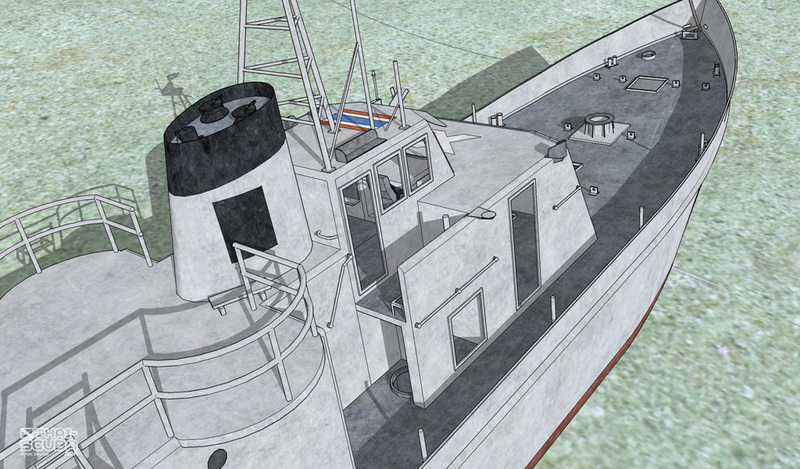 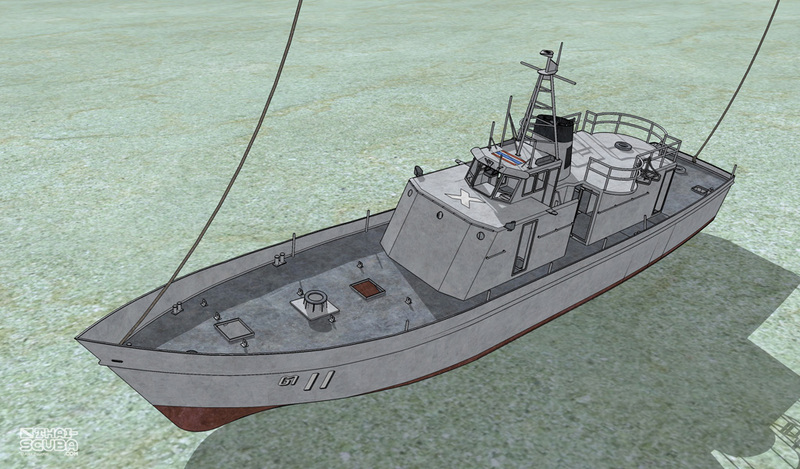 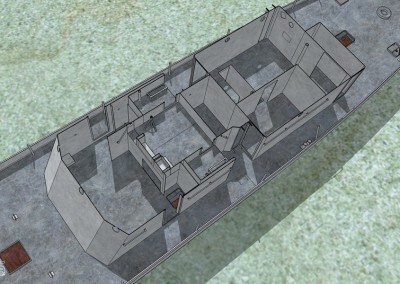 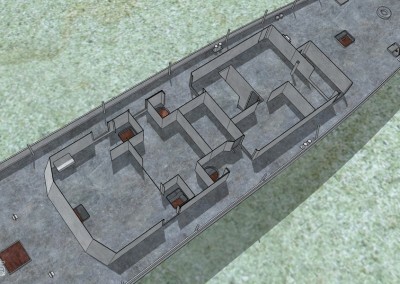 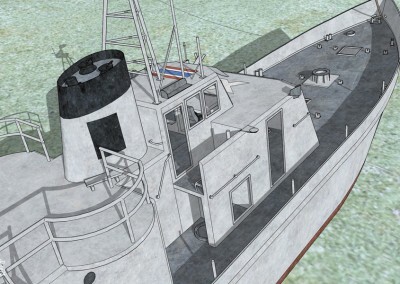 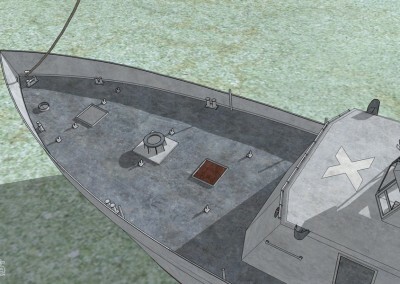 It features one and a half upper decks and one deck below in the hull. 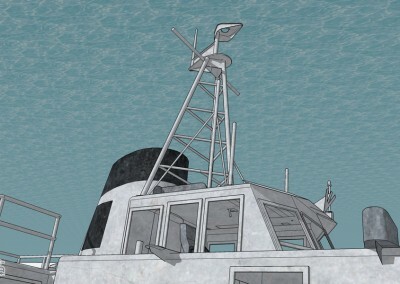 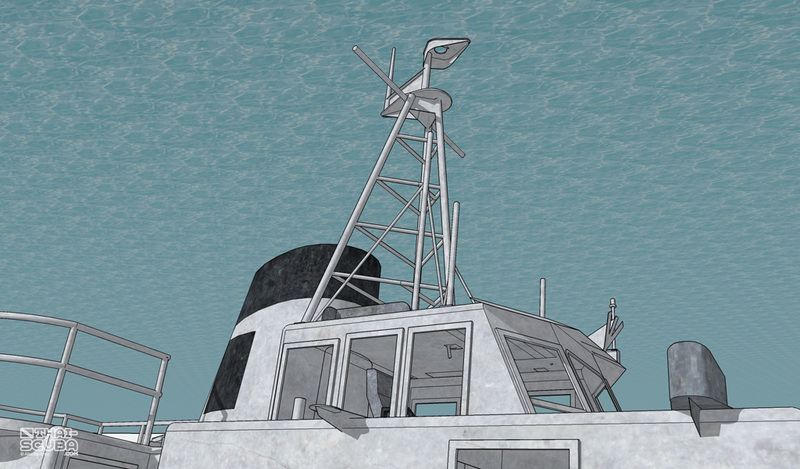 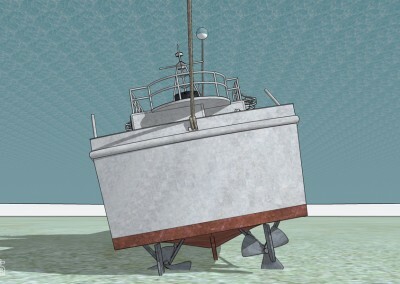 The wreck lies at 15-16m depth with a slight port side tilt. 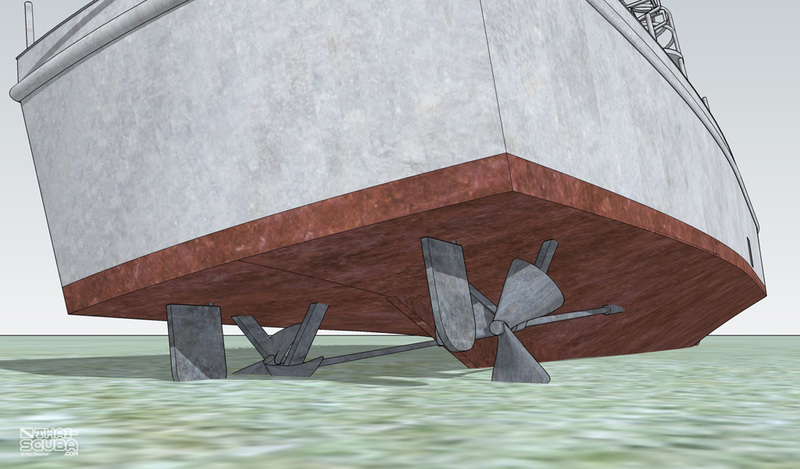 The left propeller is sightly broken and bent upwards. 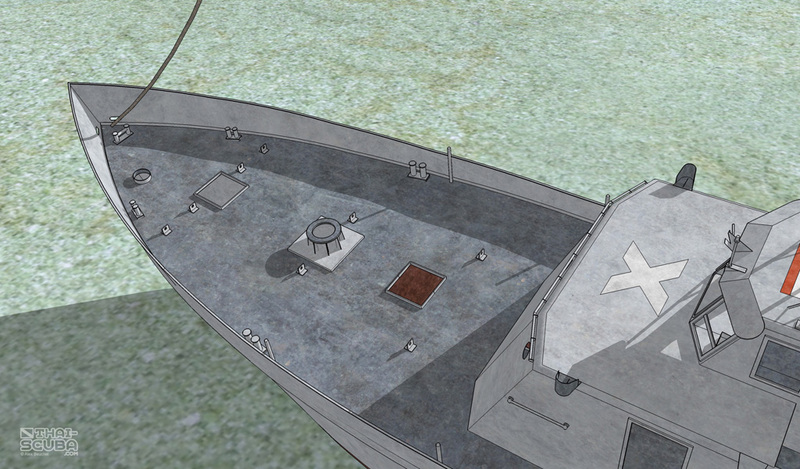 The area of the rudders and propellers. 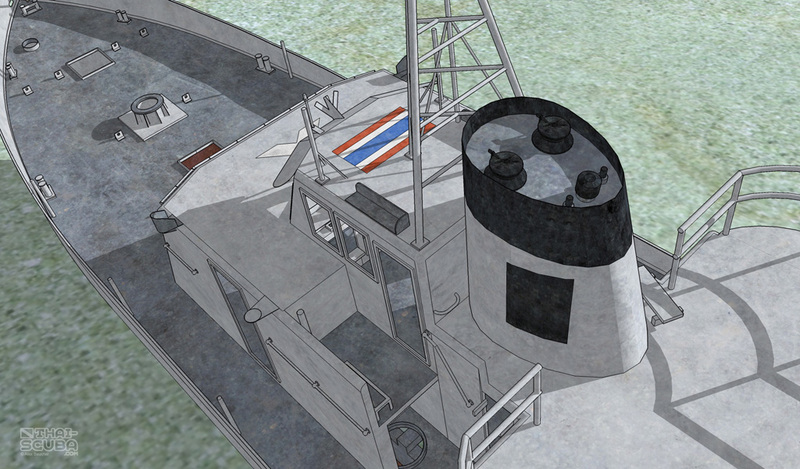 The bridge is lifted off the main deck. 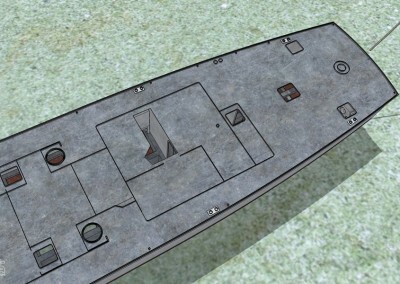 Below it is a storage compartment which can be penetrated. 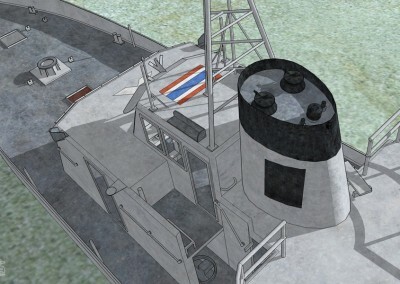 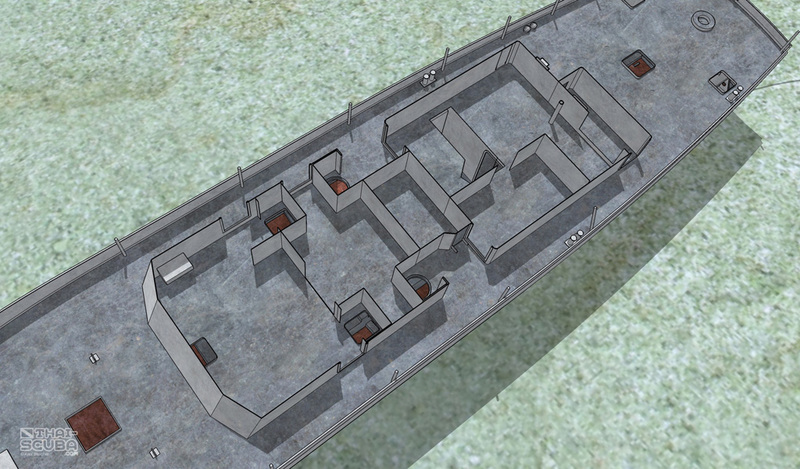 Forward area of the main deck. 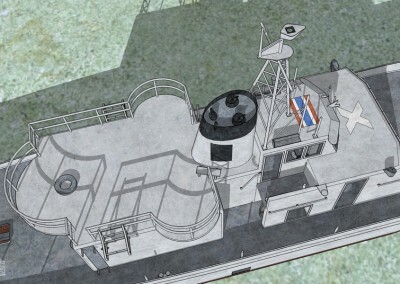 The funnel and top side of the bridge marked with a Thai flag. 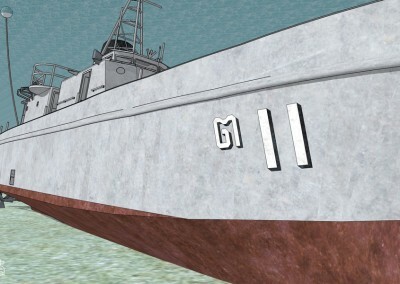 The registration number “Dor Dao 11 (sip-et)”. 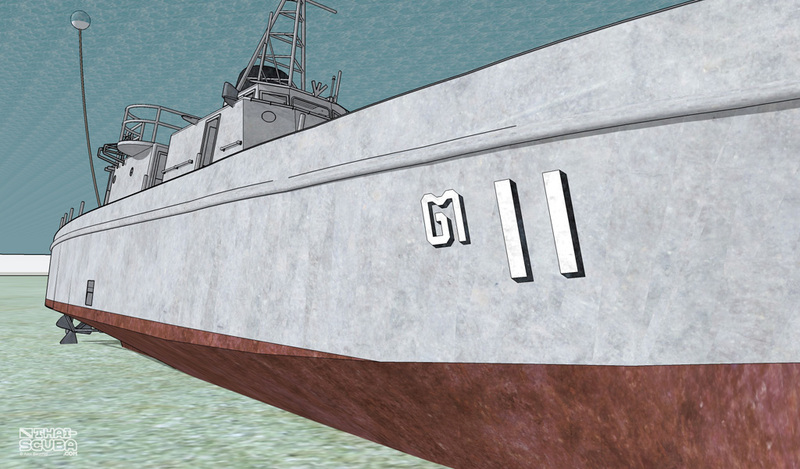 In English, the name T11 had been adapted. 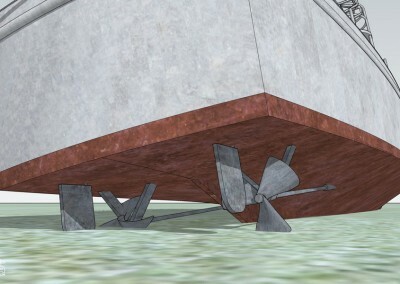 This is a section cut down to the level of the bridge deck. 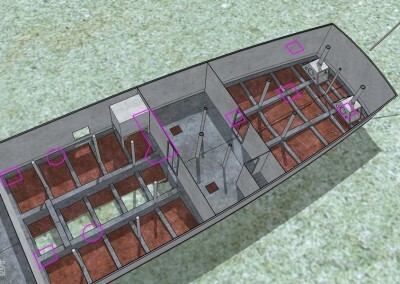 Here the section cut goes further down to show the area of the storage compartment below the bridge with its two entry points. 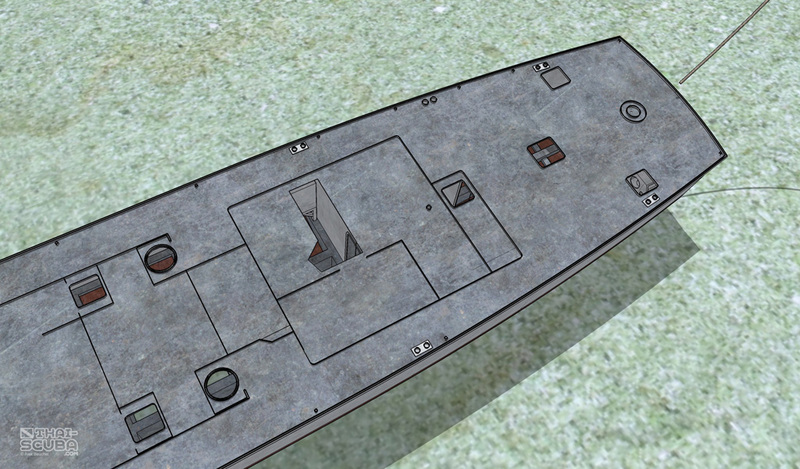 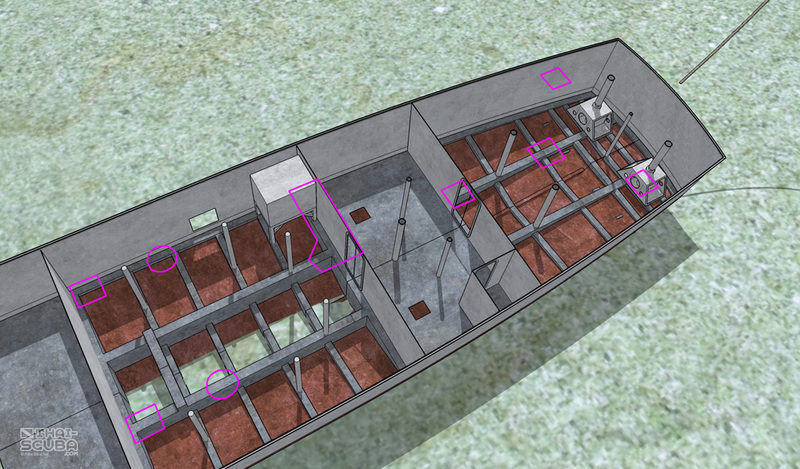 These are the penetration points of the main deck to the inside of the hull. 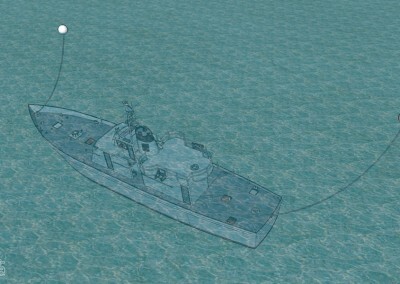 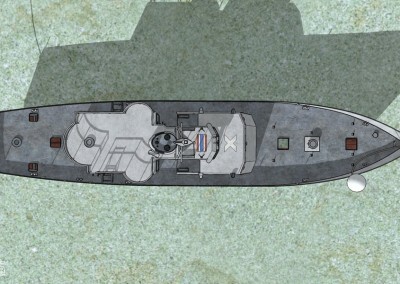 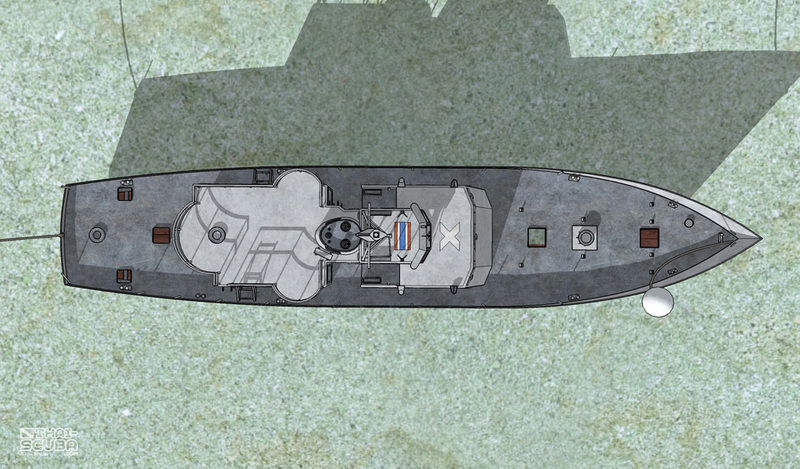 This is the area of the hull below with the penetration points still marked in place.